Situation: One of the pledges of the London 2012 Olympic bid team was to provide a permanent hockey legacy - and Lee Valley Regional Park Authority has ensured that this has become a reality. The Lee Valley Hockey and Tennis Centre, situated in the Queen Elizabeth Olympic Park, has been developed to cater for all needs - from the local community to elite players, and it provided a new challenge for Harrod UK. Limited space for the technical dugout requirements meant innovative designs were required for the impressive hockey stadium, so our world-class Research & Development department got on the case to come up with an answer. Solution: New designs created two shelters from a traditionally larger single dugout, meaning that time-keepers and medical personnel remained pitch-side. 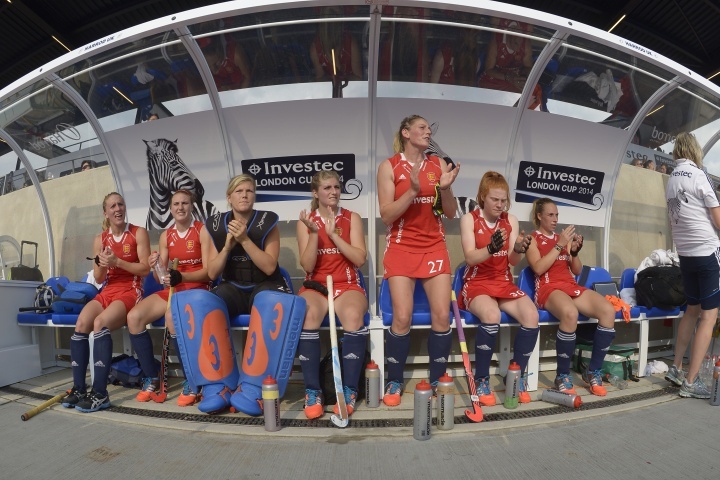 We started work on these in late November 2013, the venue was officially opened in June 2014 and the technical shelters and field of play equipment were showcased during the first major hockey event to be held at the venue: the famous Investec London Cup in July 2014. Outcome: The new arrangement and layout at the Investec London Cup proved such a success that Harrod UK has now been given the task of innovating again. A new arrangement has been requested for the technical dugouts to be moved away from the field of play and into an area within the stands. This would represent a first for Federation of International Hockey tournaments and it is likely that this new layout will become a benchmark for all future venues.